You’re probably already aware that a custom in-closet office is the perfect solution for working at home while saving money – but there are some other major advantages of having your office in a non-traditional space. Today, the storage experts at Closet & Storage Concepts are here to give you a quick rundown of two other major reasons an in-closet office should be at the top of your list for your next home project. One of the best things about working in a smaller space is that you’ll have more motivation to stay on top of clutter that might otherwise sprawl out. 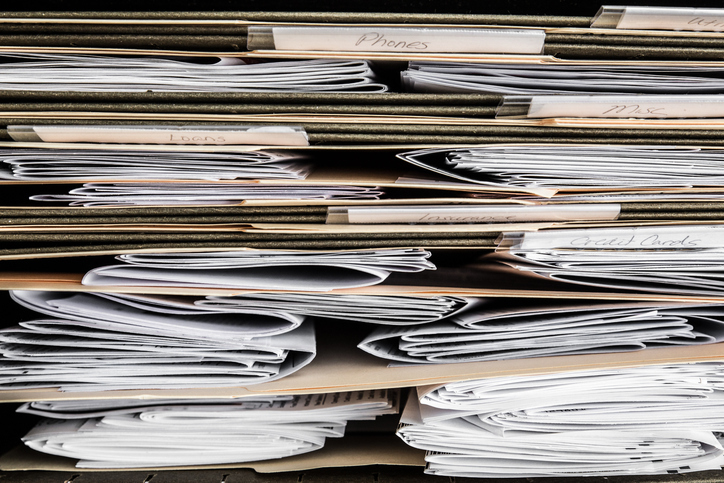 In a larger office, it’s not necessarily a big deal if you start to pile things on the edge of your desk – and we’ve all experienced that bewildered feeling when we realize that one tiny pile has somehow transformed into a black hole of office supplies and papers. With an in-closet office, there’s not a place for everything – at least not in the sense that you can keep adding and adding – there’s a place for exactly what you need. Minimalists, rejoice. If you need your workspace to be clean and organized before you start your daily hustle, you’ll be delighted when you find how little maintenance a closet like this requires. Another huge advantage of in-closet offices is that they’re economical alternatives for entrepreneurs, artists, and people who run businesses out of their homes. Not everyone wants a huge office space or an expensive studio. But the idea of a home office probably seems like it’s off the table for some people because they simply don’t have room for it. But here’s the thing: with the right custom design, you can put an office just about anywhere. Think of in-closet offices as any office that’s worked into an unexpected, non-traditional, or awkward space. You know the weird nook behind that one door? That angled wall upstairs? You can put an office there! If anything, in-closet offices are an attitude towards using space: let nothing go to waste. Closet & Storage Concepts measures and designs custom storage solutions for those weird spaces in which one-size-fits-all furniture just won’t…well, fit. 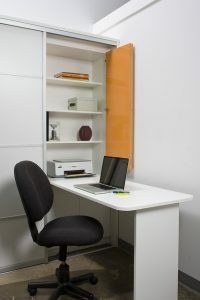 If you’re starting to feel like an in-closet office might be right for your unusual little space, contact the closet and office professionals! We’re always ready to come straight to you for a free, in-home consultation, where you can talk to our design team to find a solution that works for your home and budget. Get started today!